Earphone Sport Grips - Locks Earbuds in place. BudLoks work with your favorite in-ear earbuds to provide a more secure fit and prevent your earbuds from coming out of your ears during activity." /> For Far End Gear Short Buds 22" Cord Stereo Earbuds that don't fall out use BudLoks™ - Far End Gear™ Products for outdoor enthusiasts - earbuds, earphones, and earbud sport grips. Specifically designed with asymmetrical cords for use with cell phone or mp3 player armbands, eliminating the tangling and catching that often comes with having extra cord. Perfect for running, walking, cycling, hiking, or while working out at the gym. 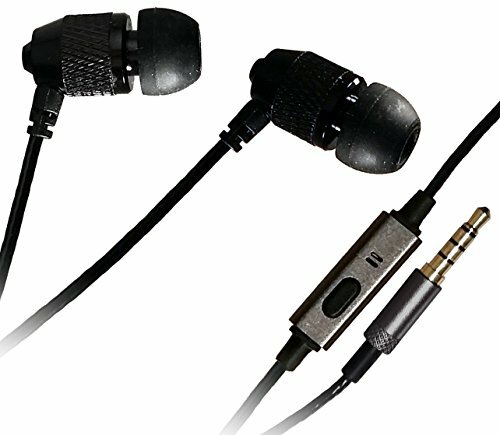 Our in-ear style earbud features soft rubber eartips of varying sizes for a comfortable, secure, near-customized fit. Asymmetric cord design has a longer right-side cord to keep the cord balanced toward your armband. Microphone is on the longer cord.